Listen: cry me a river about Flash and multi-tasking. If Apple wants to keep multi-tasking for their own apps in an effort to prevent folks from making their OS run like Windows Mobile on a good day, be my guest. Push servers work great for always-connected applications. As for Flash, I think it’s all political. Anyway, rant over. 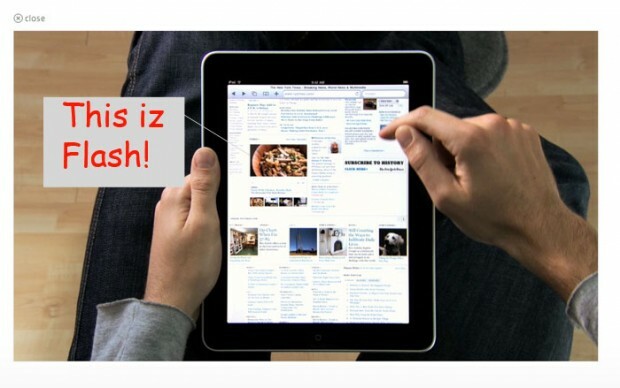 Those little minxes at 9to5mac found Flash running in Safari on the iPad. 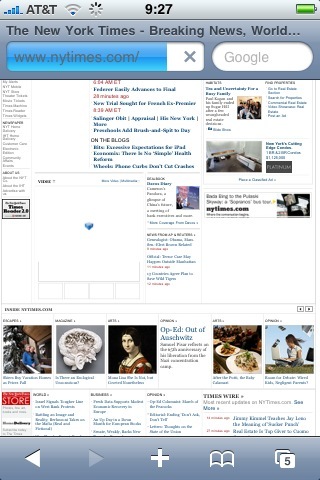 If you watch the video after the jump, you notice that when they browse the NYT you can see the Dining section pop up. The Dining section is usually represented by video in a Flash box. Obviously this could all just be ‘shopped in, so don’t get your hopes up if you totally want to play some wonky Flash games in the browser and they don’t work. However, maybe the Flash thaw is coming. Here is the same page in Safari for the iPhone.